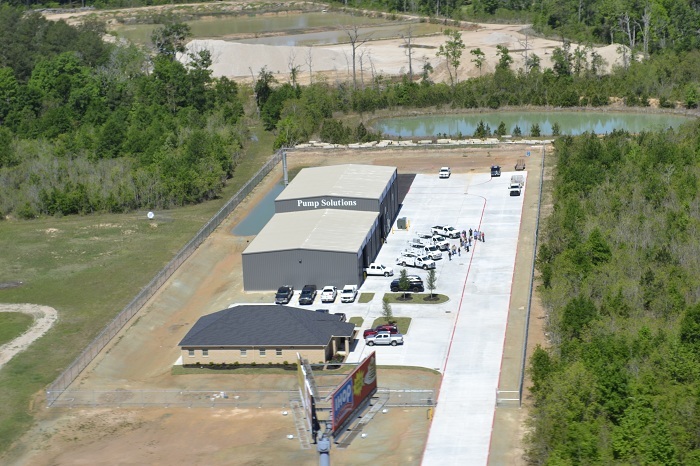 Pump Solutions Inc. has a full repair, assembly, and testing facility in New Caney at the corporate office. This facility became fully operational in early 2013. 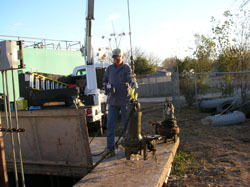 Pump Solutions Inc. has the technical experience and industry know-how to repair pumps in a timely manner and better support our own products and services. Fully equipped service trucks with 3 ton lifting capability. Great service is imperative even when representing the highest quality equipment. Pump Solutions has service personnel on call 24 hours a day. 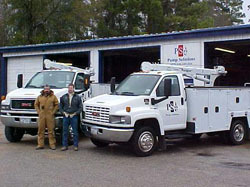 The company has 9 service trucks, five of which are a Maintainer Hydraulic Crane Truck with a 24' reach and 6000 lb. lifting capacity. This combination allows Pump Solutions to meet their customers service requirements in a timely manner.